The new look Hamilton Bulldogs were in town as the Petes looked for a W after three tough games last week. 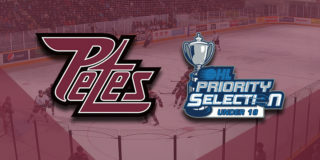 The game kicked off with a presentation of $25,000 to Peterborough Youth Services, a local charity that provides counselling and support to young people in the local community, from the Bell Let’s Talk Community Fund and ended with a 6-3 Petes victory. It was mid-way through the opening period when the Bulldogs opened scoring. Jan Jenik snuck by the Petes’ defence to take a pass from Matthew Strome before sending the puck off the post, off of Jones, and in at 8:36. The Petes would score to tie it thanks to a ripper from Austin Osmanski which was assisted by captain Zach Gallant and Ryan Merkley. It wasn’t a long celebration before the Bulldogs reclaimed the lead 2-1 when Kade Landry dipped around and claimed the puck off Navrin Mutter and Owen Burnell before he potted one deep behind Jones. After 20 the Bulldogs led by a single goal. The shots on goal were 11-10. The second frame was opened by a Peterborough firecracker as Michael Little rocketed his first as a Pete shorthanded off a pass from Declan Chisholm to bring the game back to an even 2-2 tie. 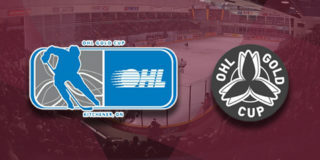 Once again Hamilton would quickly break the tie as Landry and Logan Morrison moved the puck up ice to Arthur Kaliyev, which allowed him to deposit it in the Peterborough net and reclaim his team’s lost lead 3-2. 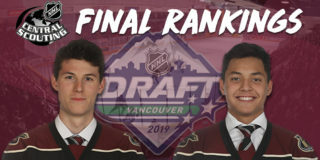 In a trend that had become common in this particular game, the Petes returned the game to a tie with under 5 minutes to play as Chris Paquette buried a John Parker-Jones wrister past Zachary Roy to take away the Bulldogs lead. The clubs would go to their rooms after 40 in a 3-3 tie as Hamilton remained in tight control of the shots 26-19. At 8:06 in the third the Petes took over the lead for the first time as Nick Robertson sent a shot to Merkley who found a crack in Roy and took the chance which paid off with a 4-3 mark on the scoreboard in favour of the maroon and white. Following Merkley’s goal Liam Kirk evaded Hamilton’s defense and deposited a Max Grondin pass to increase the Peterborough lead by a goal. As if they were just teasing the Bulldogs, Chris Paquette took it upon himself to score unassisted with under three minutes left to play, making it 6-3 Peterborough which is where it would stay as the buzzer sounded, cutting the three game losing streak to pieces. Final shots were 37–25 in favour of the Bulldogs. Paquette, Merkley, and Landry were named the first, second, and third stars of the game, with Adam Timleck named the Mark’s Hardest Working Player of the Game. 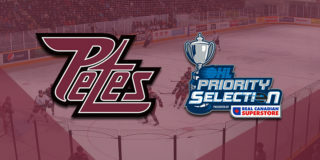 The Petes visit the Oshawa Generals on Friday, February 1 at 7:35pm before hosting the same east division rivals on Saturday, February 2 at 7:05m for the 10th annual Pink in The Rink event. An extremely limited number of tickets are available through the Baker Tilly Box Office in person, over the phone at (705) 743-3561, and online.